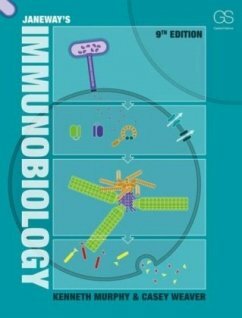 Explore the premier text for immunology at the advanced undergraduate, graduate and medical school levels. Beginning students appreciate the book's clear writing and informative illustrations, whilst advanced students and working immunologists value its comprehensive scope and depth. This edition is thoroughly revised and up to date with significant developments in the field, especially on the topic of innate immunity. Kenneth Murphy ist Professor und Co-Direktor für Immunbiologie sowie forschendes Mitglied des Howard Hughes Medical Institute im Department of Pathology and Immunology an der Washington State University School of Medicine in St. Louis.